This ad has been viewed 2381 times! This posting is for a manual shift power steering Foreman 500. 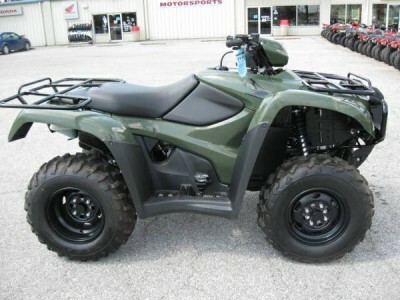 The atv is loaded with features to help you get your work done! If you are curious about the power steering come by today and drive one to see the difference. Trades are welcome. All prices are plus tax and title. Thank you. To secure this price contact Kelly.